Live from WinHEC….It’s WINDOWS SERVER 2008! Greetings from Los Angeles and the 2007 edition of Microsoft’s Windows Hardware Engineering Conference (known on the streets as WinHEC 2007). This yearly confab brings together the industry’s key PC hardware eco-system players to help define and drive what the future of Windows computing will look like. The conference has featured great announcements over the years and this year is no exception. Just about a year ago, Bill Gates used his WinHEC keynote address (May 2006 in Seattle) to highlight a major company milestone — the first time all three major Microsoft product lines (Windows, Windows Server, and Office) reached beta 2 at the same time. This morning, Bill unveiled another milestone — the official name for Windows Server “Longhorn”. As Bill joked, I’m sure this isn’t a big surprise. We’ve even poked a little fun at ourselves in this great video that provides a peak inside the whole naming process at Microsoft: What’s in a name? 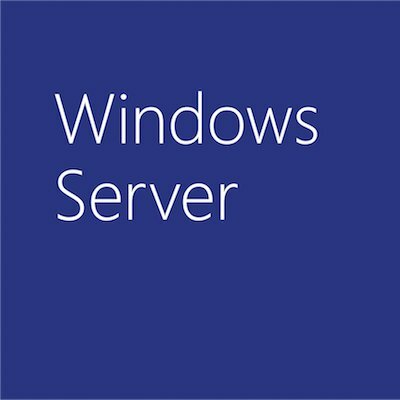 I had the distinct honor of being the first to demo our next generation Windows Server release under it’s new name. I showed how Network Access Protection works with one of our 802.1X switch partners (HP ProCurve) to automatically limit the network access of my out of compliance laptop. Then, once my laptop was brought back into compliance, we took a look at how the integration of Windows Server 2008 Active Directory Rights Management Services with Microsoft Office SharePoint Server 2007 helps simplify the process of applying persistent protection policies sensitive documents. We closed with a demo of the new device installation restriction policies which enables IT administrators to define new Group Policy that manages what devices (like USB thumb drives) can be attached and which are blocked. I encourage you to take a look at the on-demand replay available right off the WinHEC 2007 web page. You can find my demo around 49 minutes into the video (not that I’m suggesting you skip over the rest <g>). After you watch the video, don’t forget to checkout the Beta 3 which is available for download at: http://www.microsoft.com/getbeta3. Well, time to get back to the great stuff happening here at WinHEC 2007! I’m really interested in checking out some of the cool new PC form factors around the expo floor.